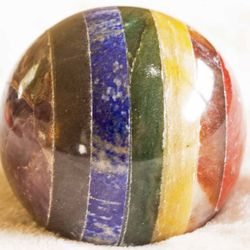 Offering: Everything metaphysical - crystals, candles, tarot cards, journals, jewelry, pendulums, spheres, incense, tapestries, and so much more! New items frequently! 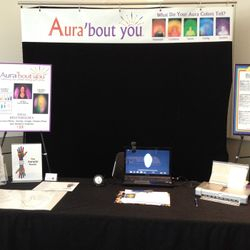 We are located at the Lotus Center, inside the Institute for Spiritual Development, right here in Oneonta. For more information about our offerings, please call the Lotus Center at 607-267-4693 or contact Loretta directly at 607-434-4929. Offering: The Tepee offers a wide range of gifts for your spiritual needs and more! Sage, sweetgrass, smudge bundles, oils, candles, crystals, pendulums, jewelry, Tarot card decks, and books. 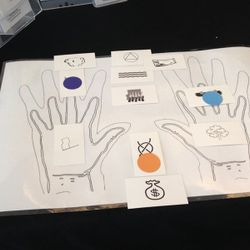 Unique items for your mind, body, and soul! Bio: The Tepee, a road side attraction gift shop built in 1950, that not only offers Native Crafted items but many items are locally made and made in the USA. 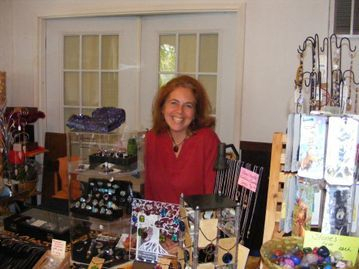 Fine jewelry, crystals, sterling silver jewelry, candles, oils, incenses, soaps and so much more too numerous to list. 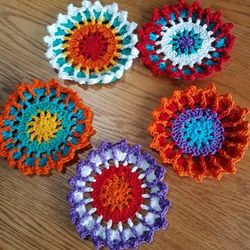 Gifts for everyone. Please check out our website at www.thetepee.biz and find us on facebook. We are located at 7632 Us Hwy 20 in Cherry Valley NY. Email: [email protected] or call us at 607-264-3987 for store hours. Offering: Michelle will be selling her books, including her latest book, "Angel's Love" and the accompanying interactive journal. 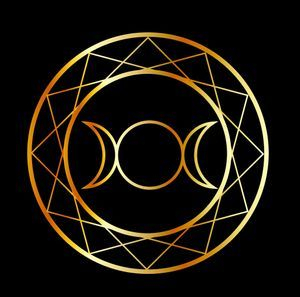 She will also be selling Oracle and inspiration cards, an inspiration line of jewelry, and other spiritual/angel-related items. 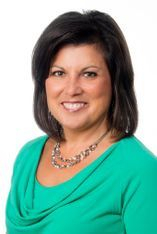 Bio: An author and spiritual empowerment/intuitive coach, Michelle has published numerous books about her journey, starting with her first "Never Alone by Michelle Irene" in 2015, which focuses on angels and how they guide us through our daily lives. Her most recent publication, "Angel's Love", focuses on the journey to discovering a greater self-love within yourself. She has studied with Gabby Bernstein, Doreen Virtue, and John Edwards. 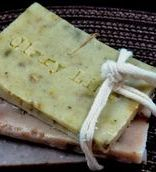 Offering: At Awareness Soap & Things, we specialize in handcrafting all-natural bar soaps combining the magic of Earth and the benefits of chakra healing crystals. Using only plant-based ingredients, our soap is 100% vegan and eco-friendly; made with high quality therapeutic grade essential oils and freshly harvested flowers. Available in 11 different scents! We will also be offering hand-wrapped copper crystal necklaces, individual loose crystals, and cleansing white sage/Palo Santo bunches. Offering: At Earth Treasures you will find a variety of beautifully hand-crafted dreamcatchers, smudge feathers, smudge kits, genuine gemstone and shell jewelry, and hand-dipped incense.. We also carry quality sage, cedar, a variety of resins, and an array of genuine tumbled gemstones. Come visit us! 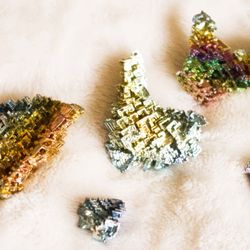 Bio: Michelle Lorenzo founded Earth Treasures out of her love of nature and all of its beautiful gifts that inspire creativity and well-being. 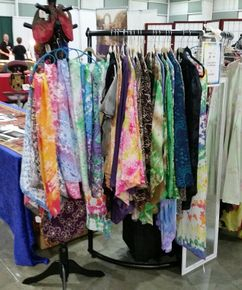 Visit https://www.facebook.com/EarthTreasuresGifts/ for a sampling of the beautifully hand-crafted items you will find when you visit the Earth Treasures booth or E-mail Michelle at [email protected] with any questions. 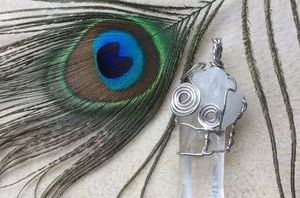 Offering: One of a kind wire-wrapped crystal pendants, all made with Reiki energy. Tapestries, posters, incense, yantras, and gemstones. Tired of guessing about nutritional supplements? Knowing what your body prefers, you can make better decisions about the nutritional products you buy. The ZYTO Compass uses advanced technology to communicate directly with your body (biocommunication). Simply put your hand on the cradle for a 3-5 min. scan. 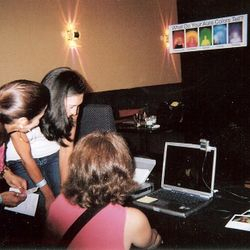 Your body will provide readings that are analyzed, ranked and recorded in a simple report. Young Living Essential Oils is the world leader in cultivation, distillation, and production of pure, therapeutic-grade essential oils. 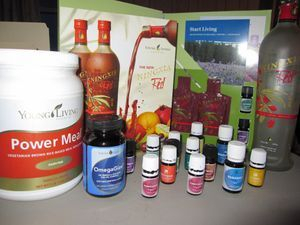 On display will be 100% pure therapeutic grade essential oils and essential oil blends, essential oil-infused health supplements, personal care products and NingXia Red goji wolfberry juice. As a team leader in this area I will be available to introduce Young Living and look forward to any questions you may have. Here's to a Healthier YOU, Naturally in 2019! Bio: Christina M. Townsend, Independent Distributor of Young Living essential oils and supplements along with Compass powered by ZYTO. My passion is to share and learn with others on how to become A Healthier You, Naturally! 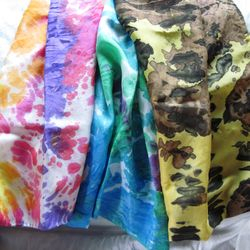 Offering: Plaide Palette offers a wide variety of metaphysical delights from crystals, witch and spirit balls, pendulums, incense and tarot decks plus scarves and cloaks. 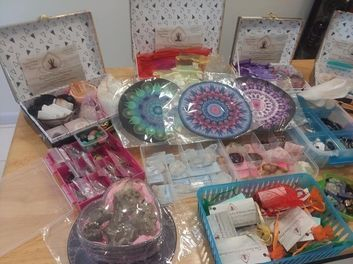 Lots of delightful goodies for healing, wisdom and enlightenment. 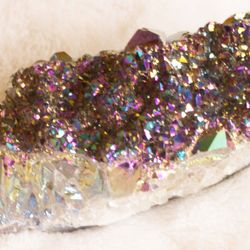 Offering: SpellFire offers a beautiful array of unique and handcrafted gifts sure to please. At SpellFire, we want to bring the beauty of the old ways to everyone at a reasonable price. 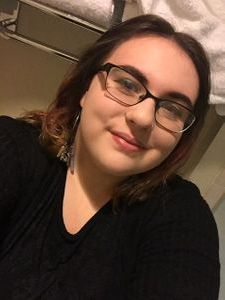 Bio: I am a born and raised pagan, with a focus on crystals and altar work. 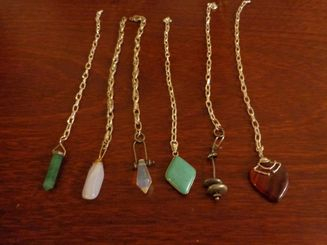 Offering: Tap into the power of gemstones and crystals, with jewelry that has both purpose and beauty. Our handcrafted clay oil diffuser necklaces and bracelets are a wonderful addition to your aromatherapy regimen. 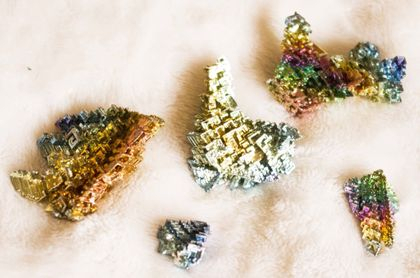 Boost the energy of the stones by pairing them with essential oils that can be applied to clay charms. Our beautiful handmade aromatherapy sachets will also be a welcome addition to your home, office, or vehicle. Bio: Zyntage Designs has been a labor of love and a work in progress. 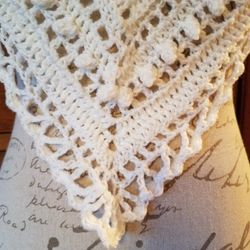 For the last few years, it has become my mission to offer handcrafted items of beauty that have the added benefit of spiritual and physical well-being. 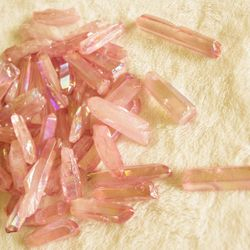 The more I learn about gems and crystals, the more I want to share this knowledge with others. 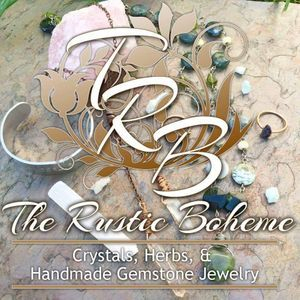 Offering: The Rustic Boheme began as an online retailer in 2011 when owner Kim Bechdel put a lifelong love of creating to work, and began offering creative handmade jewelry utilizing powerful gemstones. In September of 2018, The Rustic Boheme opened its doors in historic Seneca Falls, NY. 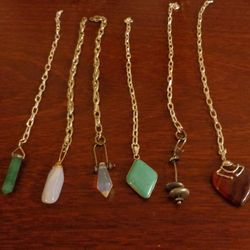 The Rustic Boheme offers an array of colorful gemstones, handmade jewelry, unique gifts, and handmade decor alongside the Rustic Boheme's signature line of crystal chakra wear. Bio: Kimberly is a very old soul who loves to help teach self care and self healing. 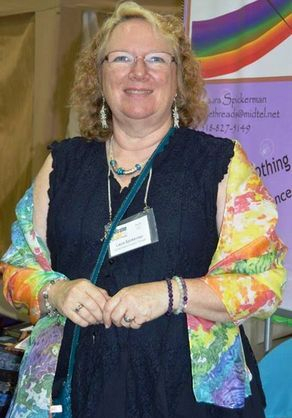 She uses crystals, chakra work, and so much more to help people on their journey. You may reach her at [email protected], on Facebook, or on Instagram. Offering: The Henna Lady provides safe and temporary body art using high-quality grade natural ingredients. Available at local Oneonta, NY venues as well as private appointments. Naturally Stoned Adornments uses natural elements - stones, minerals, wood, and metals - for one-of-a-kind handmade jewelry to enhance the soul. Bio: The Henna Lady has provided safe and temporary body art using high-quality natural ingredients for over 15 years. Recently she has added "white henna," aka gilding or "glitter" henna. She is available for events/parties. 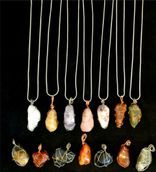 Naturally Stoned Adornments uses her creativity to invoke the divine beauty & natural healing vibrations of semiprecious gems/crystals for healing in her one-of-a-kind jewelry. Consignments available. 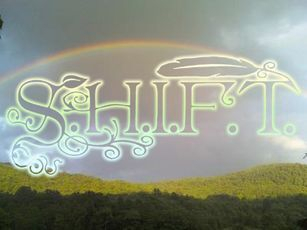 Offering: Michelle is the founder of Empath Evolution. We offer private sessions, empowerment workshops, online programs and events that guide you into EXPANSION TO JOY by moving beyond mental and emotional struggles – by embracing new thoughts, concepts and tools relating to empathy, emotions and empowerment. We work with organization, teams and individuals seeking to expand their mind and strengthen their heart for personal and professional success. 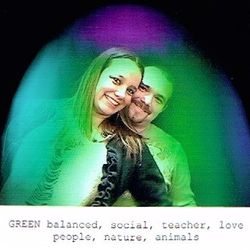 Michelle is the founder of Empath Evolution - a powerful channel and alchemist of high vibrational, healing energies that expand the mind, strengthen the heart and clears an energy field. Michelle has studied with accomplished teachers and mentors. She is certified as a Reiki Master, Integrated Energy Therapist, Soul Detective and Metatronic Healer. She has extensive knowledge of the spiritual and metaphysical world. 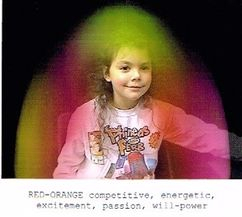 Michelle is also a graduate of Orin & DaBen’s Awakening Light Body Program. 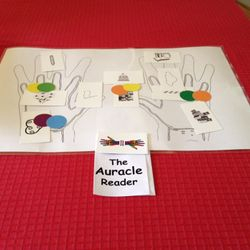 Contact Michelle at [email protected] to schedule a free introductory consultation. 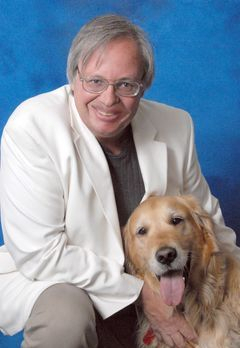 Bio: Barbara Ellen has worked and studied in the field of metaphysical science and energy dynamics since 1976. 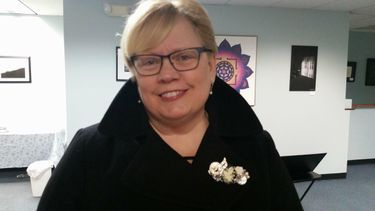 As an intuitive innovator Barbara uses her creative talents as well as learned disciplines- bio-energetics, specialized kinesiology, hand analysis- to help each person understand their core essence and expand into the best version of themselves. Barbara is available for private sessions, (phone and in person), workshops, parties and corporate events. 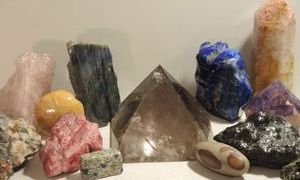 Offering: Hand Mined Reiki-Infused Quartz Crystals and Minerals, Sacred Geometry Jewelry, Hand Made Therapeutic Accent Pillows. Learn how you can utilize grounding, sacred geometry, and crystals to enhance your subtle energy and manifest joy & abundance in your life. 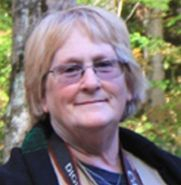 Bio: Diagnosed with Multiple Sclerosis 30 years ago, Patricia Weidler has greatly benefited from practicing many natural healing modalities. 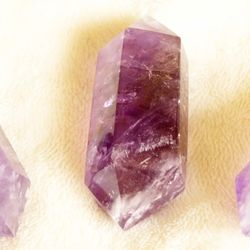 She is certified in Level 1 and Level 2 Reiki; utilizes grounding and subtle energy cleansing techniques that include crystals, minerals, and sacred geometry to align the body, mind, and spirit. Offering: ROC Metaphysical is a monthly online magazine that offers a wide variety of articles, blogs, and videos by writers sharing their insight and teachers sharing their wisdom. You can also find a calendar of events, business directory, and advertising. Our mission is to Enlighten and Inform. 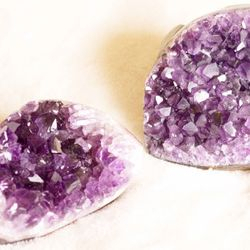 Offering: We offer over 120 tumbled stones and crystals. 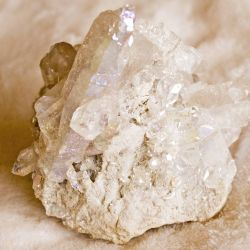 In addition, we have larger minerals and crystals to aid in your journey towards enlightenment. 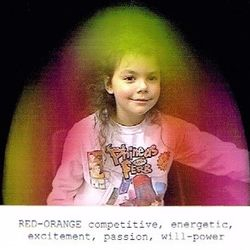 Bio: Grant connected with minerals at a very young age. 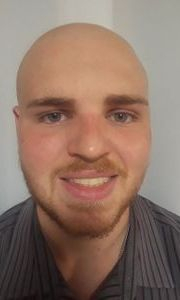 Grant has used that connection to develop a strong connection with Spirit. This connection allows him to find you the perfect mineral for your journey. 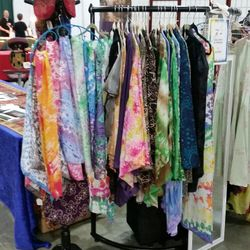 Offering: Spirit inspired fashionable clothing & Accessories, hand painted scarves & tapestries, Peace Frogs, Hot Cold Frogs, Tarot bags, purses, Viking woven wire jewelry, Handmade Willow baskets, Fairy wands and glass witch balls. 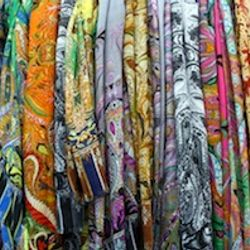 Bio: Laura is an exceptional seamstress that infuses spirit guided inspiration, color energy and prayer to enhance each garment. 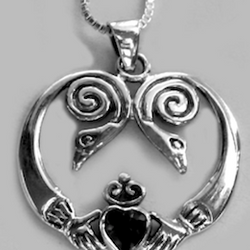 Every creation is meant to empower the wearer with serenity; the balance to joy. After more than 25 years making reproduction 18th century clothing Laura knew she could reach out and serve more. She worked with a wonderful Psychic for several years learning to open up to the energies within and sharing that joy through her creations. Inspiration continues to flow and new creations develop all the time, so check out her space for what is next. Offering: An LGBTQ+ Candle/Bath & Body shop! 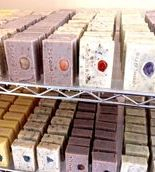 Candles are 100% soy wax, soaps and bath bombs are made organically, and jewelry is all handmade. 10% of all sales will be given to a local LGBTQ+ program or organization! Bio: I am an LGBTQ+ activist. I can be reached at [email protected] or through my Etsy, DashOfHope716. 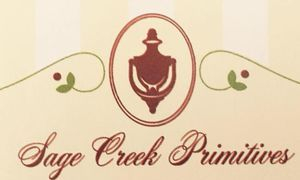 Offering: Sage Creek Primitives is a metaphysical supplier. 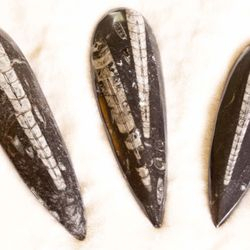 We handcraft many of our items, including healing wands, carved rune sets, pendulums, and journals. 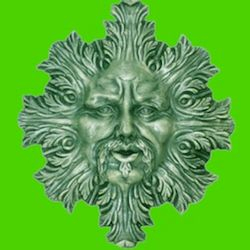 We also supply a large selection of Tarot and Oracle cards, herbs, and miscellaneous metaphysical items. Bio: You can reach us on Facebook. 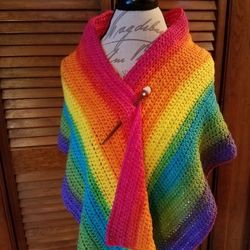 Offering: I offer hand-crocheted prayer shawls, gypsy scarves, and mandala items for home and altar use. 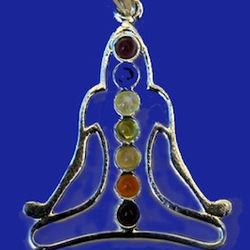 I also create gemstone and crystal chakra jewelry to enhance your meditative and creative endeavors. 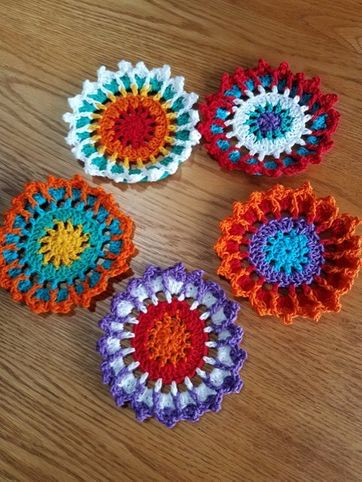 Offering: Many different handcrafted items! 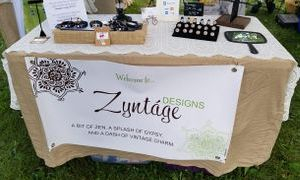 Some of the items that I make are jewelry using healing stones, flower arrangements with themes such as breast cancer awareness, air plants arrangements, candy dolls, and much more. 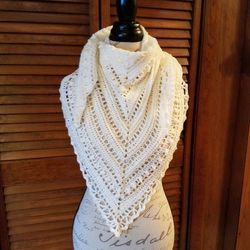 Bio: I am a senior citizen who enjoys making handcrafted items. I look forward to seeing you at the fair! Offering: Through the gift to interpret dreams, Phoenix has learned an incredible amount of information about the spiritual reality of life and how the body, spirit, and soul work to enhance our lives. Both a religious and spiritual understanding of spirituality are completed in 6 books, written over 5 years, that will help you take the mystery out of the reality of life. By interpreting the prophecy Revelations, he is able to explain what the ancient prophets taught. Bio: With several undergraduate degrees and a Masters degree, John Naughton (Phoenix) has unlocked the mystery behind the spiritual meaning of ancient texts included in the Bible. You can learn more about Phoenix at his website or by contacting him directly.